This ANSI WARNING Keep Off Sign sign makes your message clear to employees, visitors and inspectors. 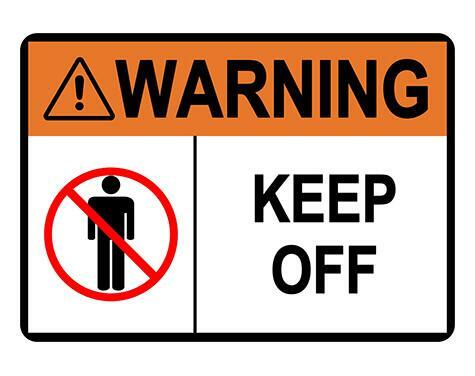 With over hundreds of office and ANSI safety signs to choose from, BannerBuzz is your source for professional warning displays like Keep Off signs. Office signage isn't just to make your facility visually appealing, it helps organize and identify spaces so workers and visitors can easily find their way around. Choose from directories and room number signs that direct visitors where to go, nameplates that identify desks and offices. Call us today about our Keep Off signs and place your order!